A consumer-friendly smartphone that matches any BlackBerry in terms of features,with a keypad you'll love or hate but suffers from below-average network coverage and call quality. If we were playing a game of word association, we're guessing the word BlackBerry would be quickly followed by QWERTY and business. It's been like that since the RIM entered the market, rarely erring from the 'QWERTY keyboard, functional design' mode - apart from the Storm range, which hasn't really changed the game. It's a stereotype RIM hopes to finally break with its latest consumer-friendly smartphone, the BlackBerry Pearl 3G. 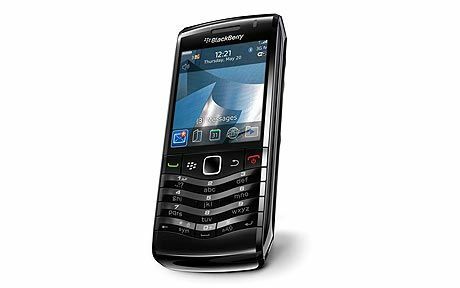 The Pearl 3G is certainly small and slim; a BlackBerry Bold 9000 could swallow it up whole and still have room for an old-fashioned stodgy dessert. Or if you want specifics, that's around 108 x 50 x 13.3mm. Small package means fewer features? Not a bit of it. The Pearl almost creaks with features, including Wi-Fi and 3G connectivity, GPS, a 3.2-megapixel camera with autofocus and video recording, a well-featured media player and an optical trackpad. It also sports multitasking, social networking for the likes of Facebook and Twitter as standard and, of course, the power of BlackBerry email and messaging. Just without the QWERTY, which is replaced by RIM's SureType technology for inputting your text. Of course, that's just the tip of the iceberg. The BlackBerry App World has been growing steadily over the past year and, while it's not up there with Apple's App Store, it does offer a good range of apps and utilities, which in turn will make your Pearl 3G that little bit more flexible.